Une production usinée, prévisible et pétrie de bons sentiments. Voilà ce qui se cache derrière la flamboyante façade de cette biographie musicale propulsée par l'enthousiasme de Hugh Jackman. Cela dit, Hugh Jackman fait flèche de tout bois dans le rôle de Barnum, tout comme ses partenaires, notamment Zac Efron dans le rôle de l'associé. The Greatest Showman is better off when it's bombastically belting out memorable tunes and begging the audience to bop along in their seats. And that happens often. Hugh Jackman, Michelle Williams, Zac Efron are "buried" in this "pile of marshmallow" musical about circus impresario P.T. Barnum. This is a movie that works way too hard at its magic (...). I was hoodwinked by The Greatest Showman. And it was indeed a pleasure. Forgettable songs, ADHD pacing and cardboard characters make for a shallow biopic of the circusmaster. A wholesomely enraptured musical about the life of P.T. Barnum turns out to be a crowd-pleaser in the best sense: It's a concoction that soars. That?s what The Greatest Showman, a film about an impresario, needs more of: impressiveness. Let's be clear. 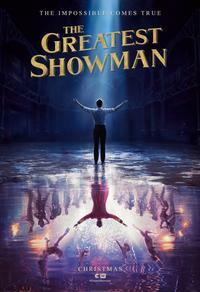 The word I would use first and foremost to describe The Greatest Showman is "silly."